Which Electric Bike is Perfect For You? At Pedego Canada we’re always asked by customers what style of bike they should buy and the answer is: it’s completely up to you! Obviously we recommend test-riding as many different styles as possible in order to get a sense of fit, feel and comfort but before you get to that stage, there are some key questions to ask that will help narrow down your search. 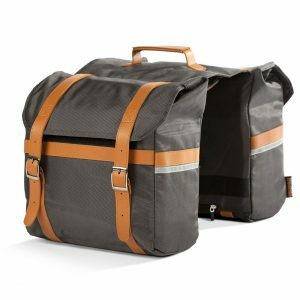 Will you primarily be riding your bike to work or on the trails behind your house? Will you be shuttling groceries and kids or just a beach blanket and bikini? Do you live in a snowy environment where fat tires would be beneficial or in a rainy one where you’d benefit from mudflaps that come standard? Do you and your partner go everywhere together and prefer to have a tandem bike or would you like the option of transporting another person or small cargo? Another factor to consider is your flexibility. 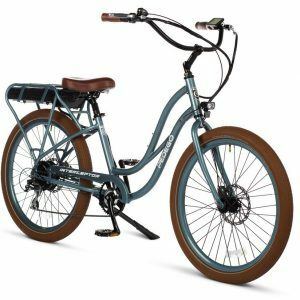 The beauty of Pedego electric bikes is that they make the joy of bicycling accessible for everyone. So even if you have trouble lifting your leg above knee height, you can still get on a Pedego and ride! Just be sure to choose one of the styles that has a step-through frame geometry. Finally, you’ll want to ask yourself whether you’d prefer just a throttle-style system or if you’d like pedal assist and, of course, what price you’d like to pay. 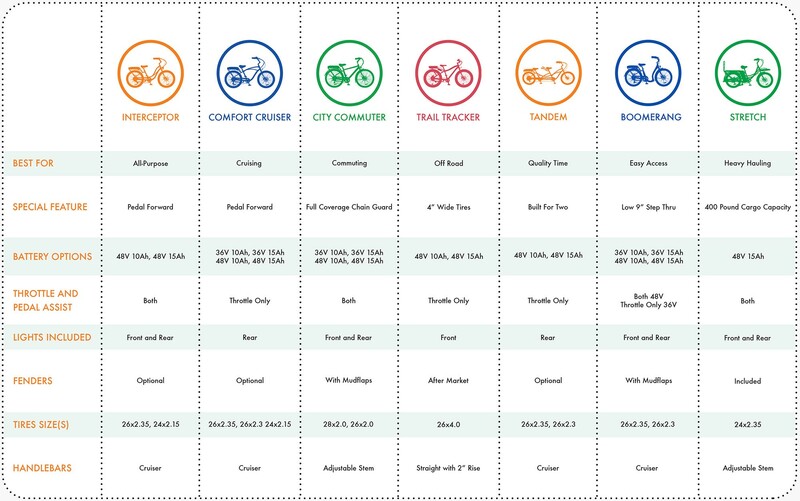 In the chart below we list all the different features of each electric bike in the Pedego line-up and include what different styles of battery are available. Once you’ve decided on a particular model or models, head over to our products page where you’ll find the various costs of each. Then, from there you can narrow your focus down to colours and seat styles! The choices are limitless so be sure to have a sense of what you’d style you’d prefer and you’ll make the decision that much easier!